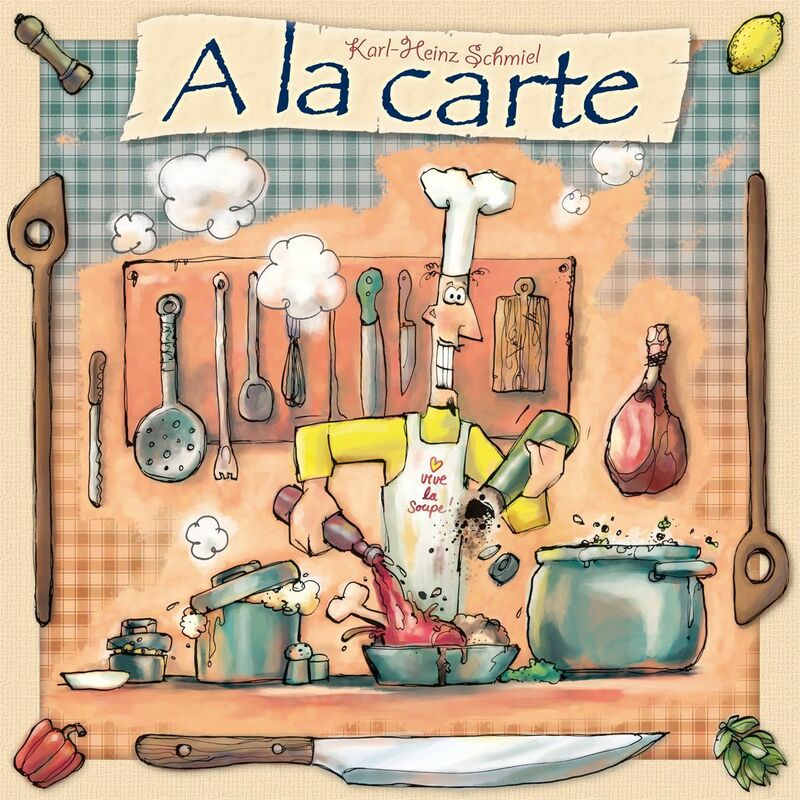 In one of his sillier games, Karl-Heinz Schmiel casts the players as semi-psychotic cooks attempting to hone their culinary skills. Each player receives a miniature pan and a hotplate. Then each turn you can either attempt to turn up the heat, season your dish, or attempt to steal another cook's recipe in the making. Heating your hotplate is a random affair with a die, and could raise the heat on everyone's plate. Spicing the dish is heart of the game and done by up-ending small bottles filled with little colored wood pellets. When the pellets tumble out of the bottle (sometimes, if they do), the number of pellets can't exceed two, because over-spicing the dish ruins it and you have to throw it in the trash! The 2009 version includes some changed rules, a new victory condition, additional recipes and some new mechanics in comparison to the 1989 version.